Bright Plastics' commitment to customer service is supported by our sophisticated Quality Management System which mandates a strict compliance to outlined policies and procedures. Bright Plastics' commitment to customer service is supported by our sophisticated Quality Management System which mandates a strict compliance with outlined policies and procedures. We believe each part delivered to a customer represents our dedication to 100% satisfaction with our manufacturing services. We believe in stringent quality control and continual improvement. We are committed to providing quality every time while challenging ourselves to improve on our metrics to surpass our customers' expectations for all new as well as existing products. 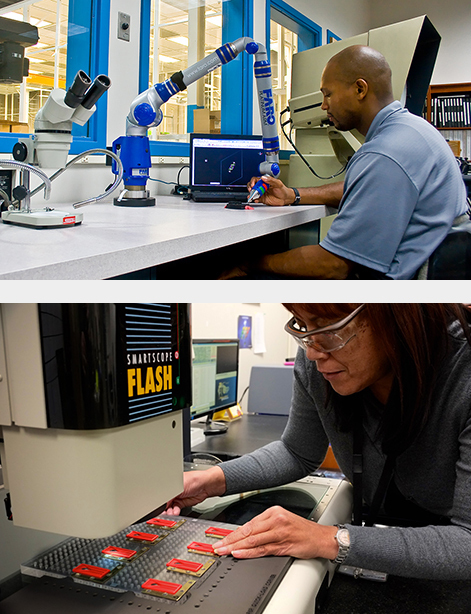 Our capabilities are validated through installation qualification (IQ), operational qualification (OQ) and process qualification (PQ) tests and reports. First Article Inspections (FAI), Production Parts Approval Process (PPAP) and statistical analyses are performed consistently. We are a member of the American Society for Quality (ASQ) and continue to expand and perfect our quality improvement techniques through education, training and process analyses. Bright Plastics embraces the Six Sigma Methodology with multiple black belts on the management team, and other employees are working toward certification. We will continue to groom our leaders through Six Sigma training. This program has led to internal improvements, operational cost savings and enhanced customer experience.